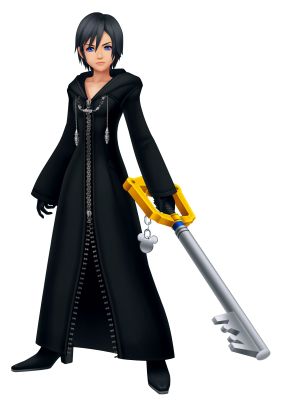 Xion is a former member of the original Organization XIII and a replica of Roxas created by the Organization. Xion’s creation was intended to be a fail-safe in case their plans for Roxas and Sora fell through. However, this ended up backfiring as Xion’s connection to Sora caused her to develop a personality and facial features based on his memories. 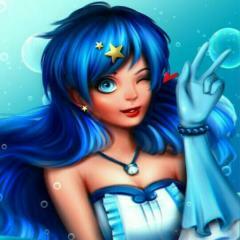 Xion is a very sweet, caring girl who shares Roxas’ intense curiosity. She is also stubborn, shown when she begins to question who she is and where she same from and refusing to let it go as Axel repeatedly suggests. Due to her connection with Sora and Roxas, Xion is able to wield the keyblade, and at a certain point does so better than Roxas. At the end of Kingdom Hearts 358/2 Days, Xion is defeated by Roxas and fades away, supposedly returning to Castle Oblivion in order to merge back together with Sora. Xion was a replica of Sora, not Roxas.